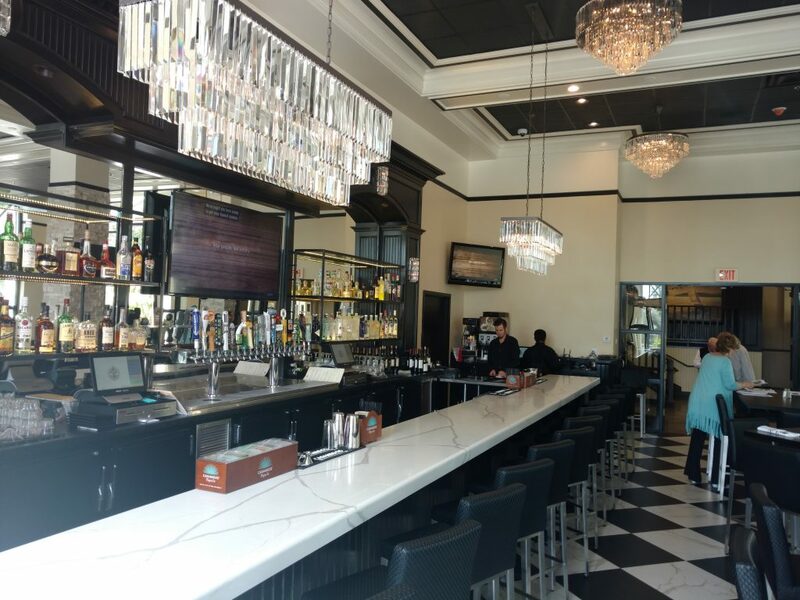 Coleen Choisser, owner and interior designer of Anna Rode Designs of San Diego, has designed the new New York West restaurant in Art Deco style. Using the famous Chrysler Building in Manhattan as inspiration, the new eatery in the Embassy Suites Hotel is now open. Right across the street from the old Police Station and near the harbor, the restaurant, which specializes in New York Style Pizza, is a great place for both tourists, hotel visitors, and locals. The interior design of the restaurant features black and white as its main color scheme, with elegant art deco chandeliers and dramatic lighting for the bar.